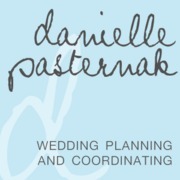 Danielle is a wedding planner and coordinator with fresh ideas and concepts. I customize each brides needs and wants into creating the perfect wedding day experience. I can help you with every little detail and be involved in any way you like. Services include unlimited consultations, personalized vendor recommendations, custom website management for the bride and groom, guest list and meal count management, coordination and handling of all wedding day events, appointment reminders, and so much more. Contact me today to see how I can help you ENJOY this amazing chapter in your life. After all, it's your wedding, let me do the work. Daniele was a life saver! I never realized how much I needed a planner until the last few weeks. My wedding day was stress free and I have her to thank for it!